In the spirit of corporate responsibility, Converse launched the CONS project recently, oriented towards helping young people, students mostly, to find their creative expressions in music, art, sport or style. 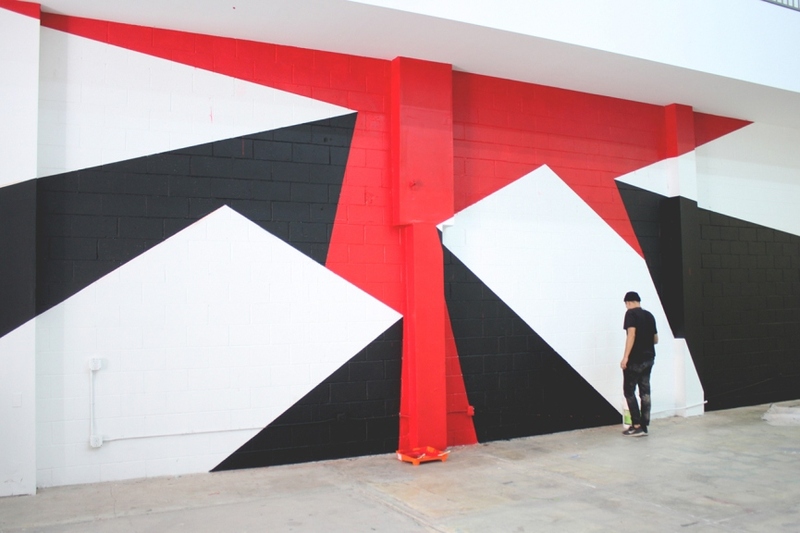 The second CONS Project edition took place in Los Angeles over two weekends, ending on March 1, 2014. Six free workshops were held for the LA kids, led by illustrious local artist, one of which was Tofer Chin. The workshops were How To themed, and they encompassed lectures and work on skate video making, zine making and mural painting. 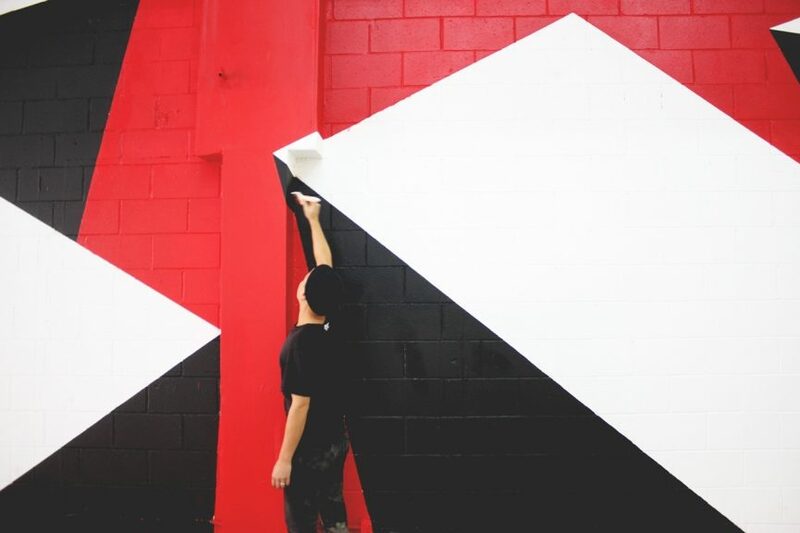 Tofer Chin was invited as a prominent artists and an LA local to lead the mural workshop and mentor the students from Hollywood High School. 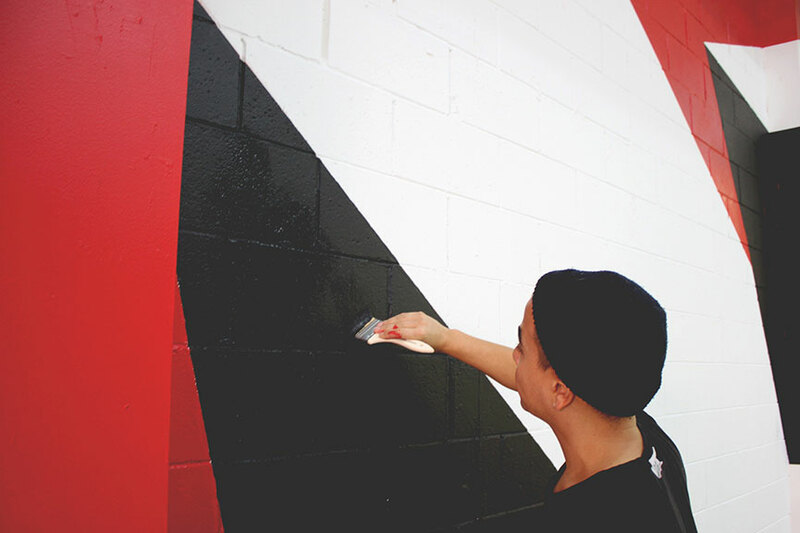 He aided the youngsters with the red, black and white mural painted across the CONS LA headquarters wall. The final outcome is an abstract wall painting, much in the style of Tofer Chin. 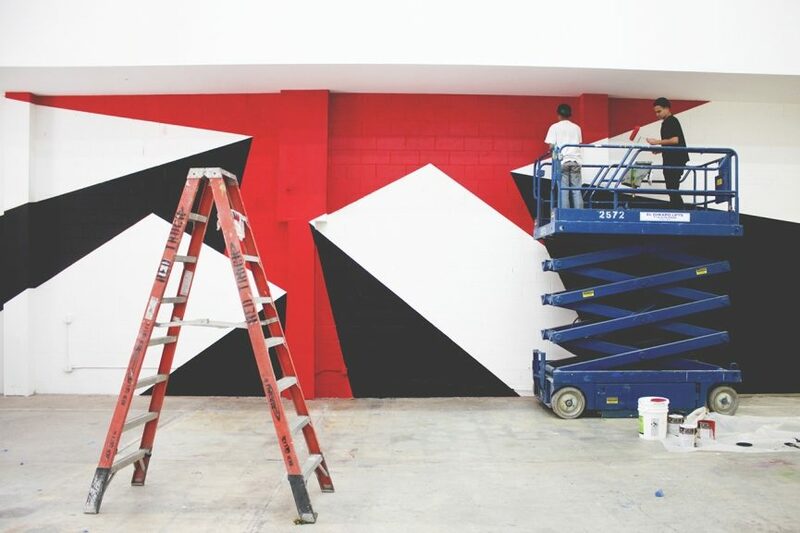 The work was titled Four, because it represents a communication work between four geometric planes, which question the perception of natural and artificial by using black and white shapes, angular cuts and colored accents. Tofer Chin exhibited quite a talent with working with the students, which brought his back to his own high school time. He appeared happy to be a part of the CONS Project, since there were no such endeavors when he was a boy that could have provided him with the priceless experience of being mentored by a practicing artist. The mural he created as a part of the workshop will be serving as a background for the closing event. The CONS Project phase 2 was ended with an exhibition of all artwork produced on its workshops. 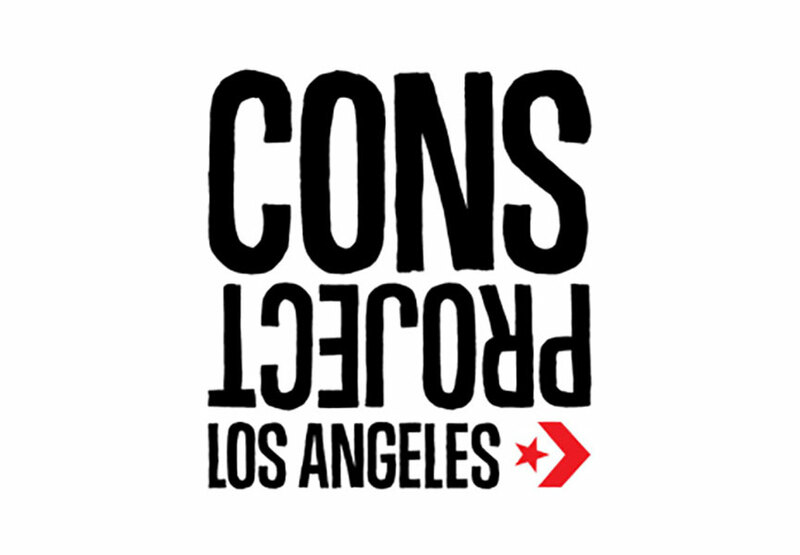 The CONS Project: Los Angeles is open for viewing, located in downtown LA. Tofer Chin is a representative of a new contemporary movement in the realm of the abstract. 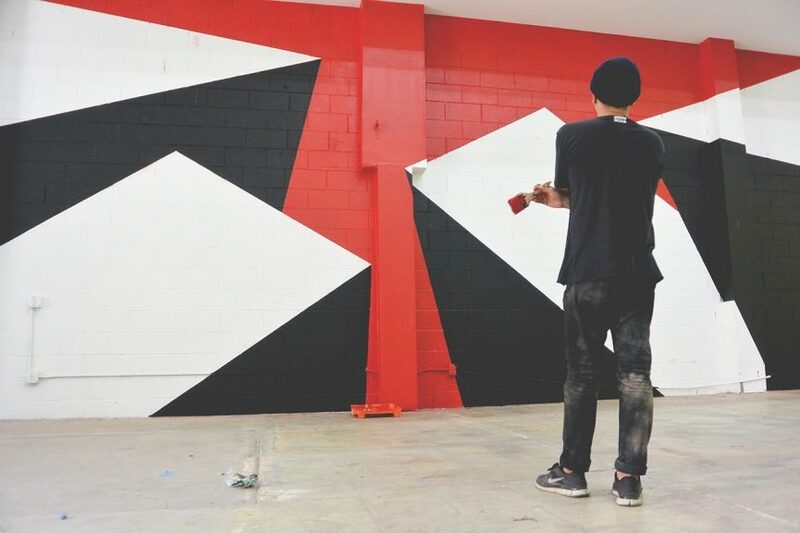 His huge, geometric works explore and provoke altered states of mind. The patterns he so persistently repeats form curious optical effect, resembling abstract landscapes. All of his works are created due to the meticulous mathematical calculation, with reference points on the pictorial elements of the work itself. This conjunction of mathematics and psychological subtext provides a contemplative layer to otherwise minimalistic and visually purified Chin’s works. Tofer Chin was born in 1979 in Los Angeles, where he grew up. He was trained at the Otis College of Art and Design. As an enthusiastic artist dedicated to a particular urban expression, he conducted number of works internationally in the open and closed spaces. His art can be seen in Parque Lage in Rio de Janeiro and in Sao Paulo as well. Dividing his time between LA and Sao Paulo, Chin has contributed greatly to the Brazilian urban art scene, exhibiting in the South American country since 2010. He also realized exhibitions in Italy and Spain, and nationally, in LA, San Francisco and New York.